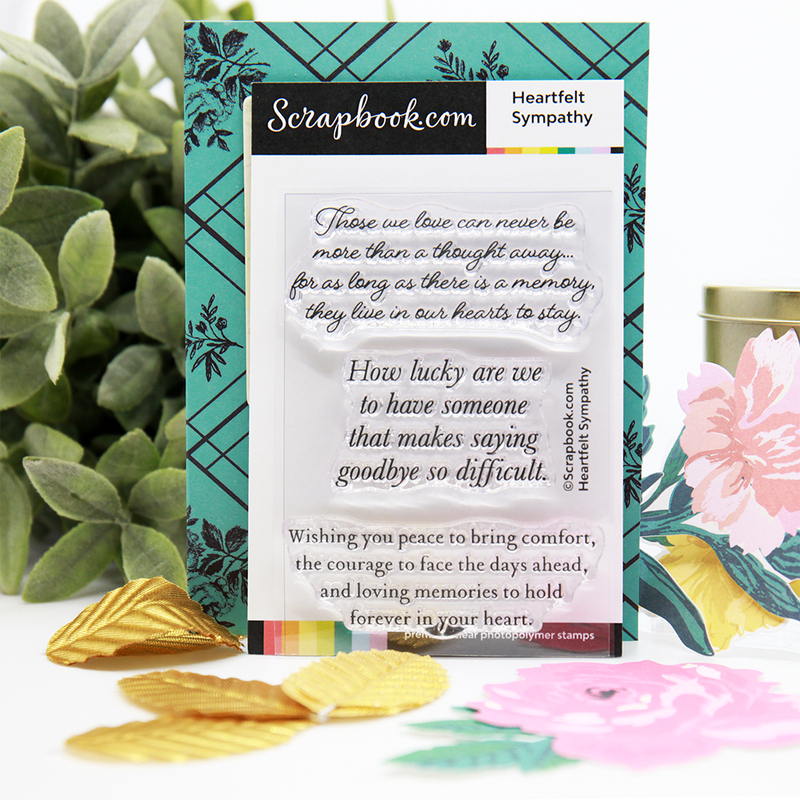 Words of support can be so comforting during the grieving process and the included sentiments that contain healing words are certain to lift their spirits. 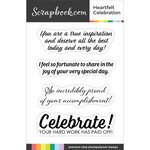 The sentiments will be the perfect touch to add to the front or inside of an inspirational card that we are sure that they will treasure forever. 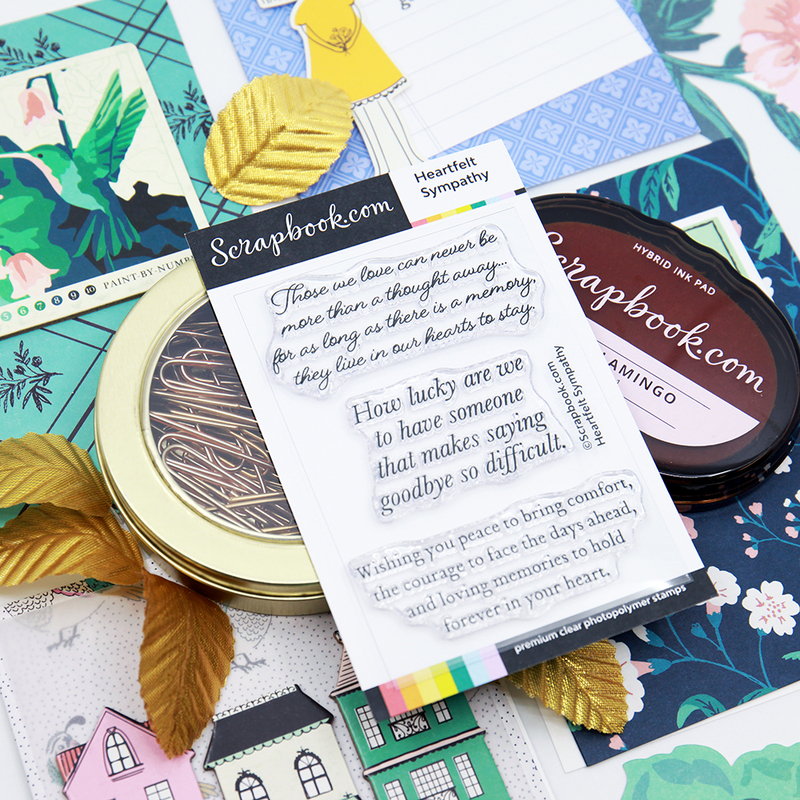 We are very proud to share with you our exclusive designer stamps that are all about being there for someone close to your heart in their time of need. 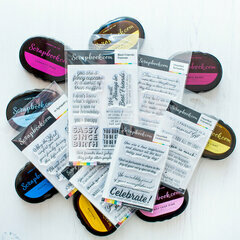 The stamps are the product of talented crafters from right here in our home state! 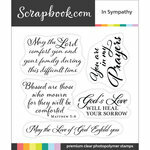 This set of three premium clear photopolymer stamps come on a convenient 3” x 4” storage sheet. 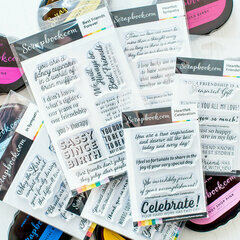 Add these stamps to your collection so you can create something beautiful that expresses hope for brighter days ahead. Those we love can never be more than a thought away… for as long as there is a memory, they live in our hearts to stay. How lucky are we to have someone that makes saying goodbye so difficult. Wishing you peace to bring comfort, the courage to face the days ahead, and loving memories to hold forever in your heart. I love the cleaners of these stamps. I ordered this set to have it on hand not knowing I'd need to use it two days after the set came. I will for sure be ordering more from this super company. And the turn around time on orders, by far one of the best of companies. 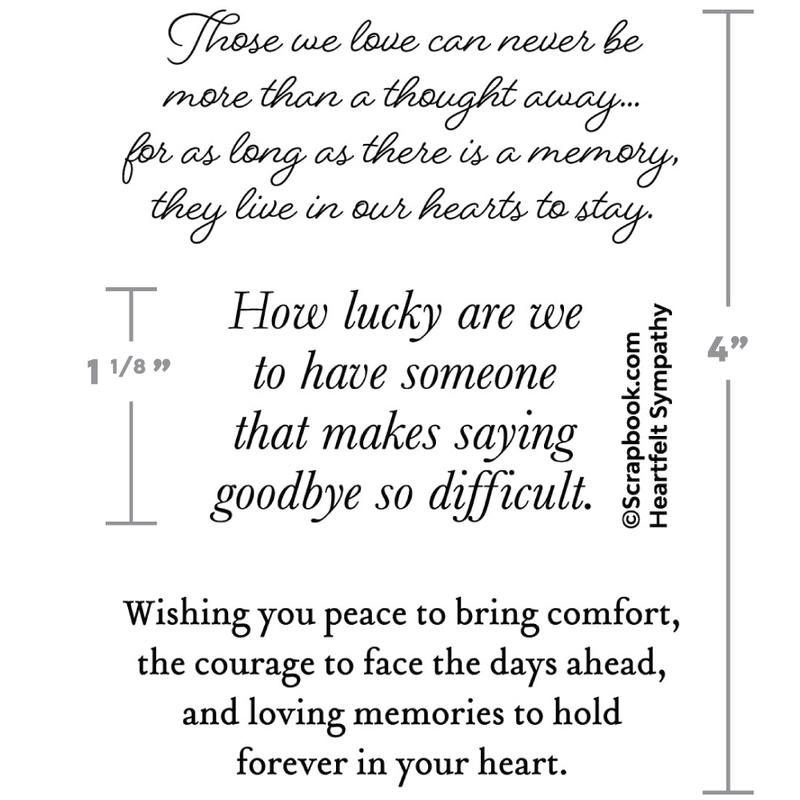 It is very difficult to fine the right words for a sympathy card. 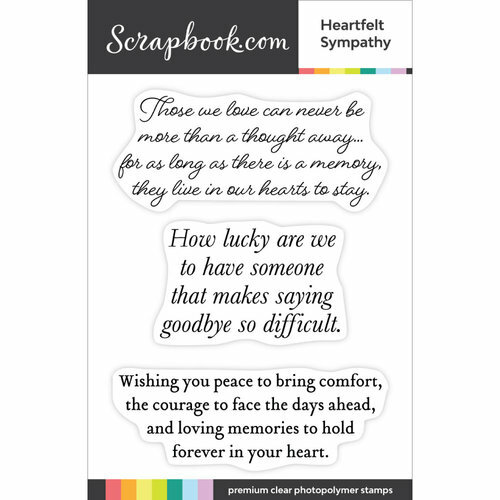 This Scrapbook.com "Heartfelt Sympathy" has perfect sentiments for those cards where you have trouble putting your thoughts into words. 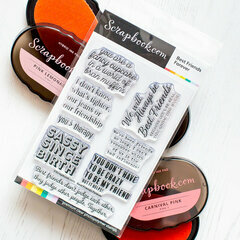 I highly recommend this stamp set. I am at the age where I am making more Sympathy cards. These stamps are perfect for the inside of my cards. 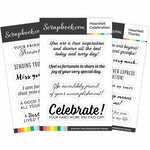 Scrapbook.com is doing a fabulous job for us card markers. Thank you. 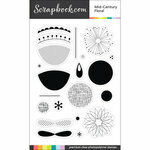 I really enjoyed using this stamps set. The quality is amazing and the sentiments are beautiful. 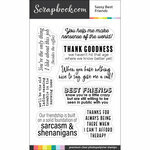 I totally recommend scrapbook.coms stamp sets. 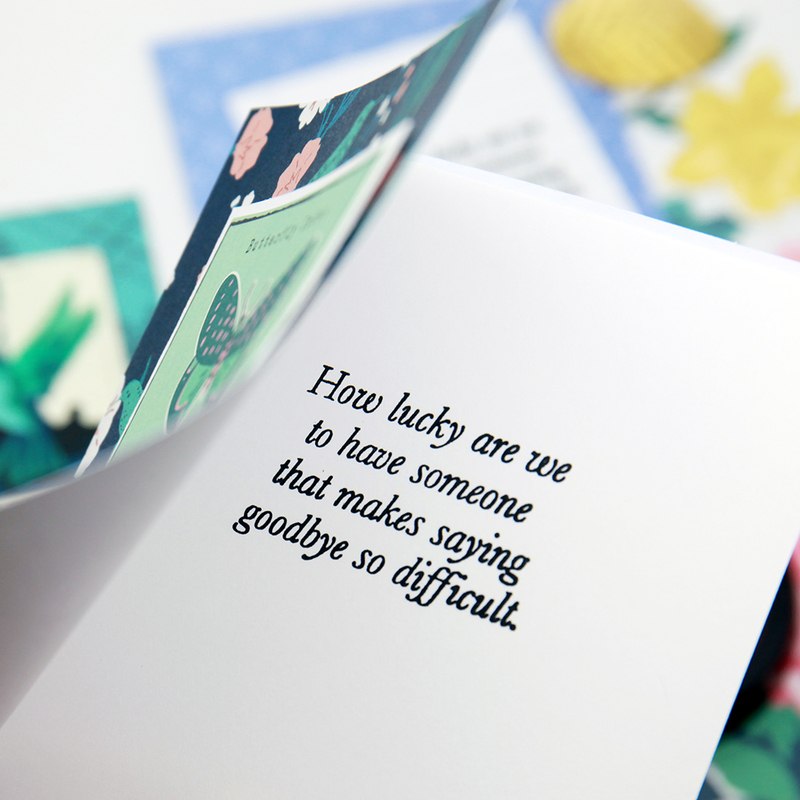 Sentiments for the insides of cards are always hard to find. 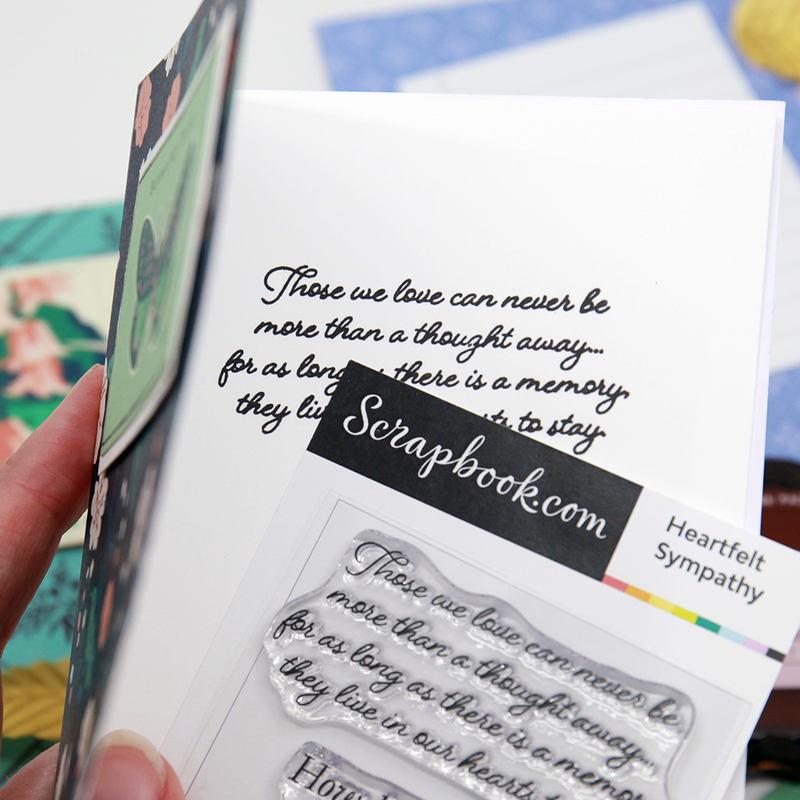 Sadly I make a lot of sympathy cards and these work well. These Heartfelt Sympathy sentiments are perfect for someone like me who never knows what to say in a sympathy card. 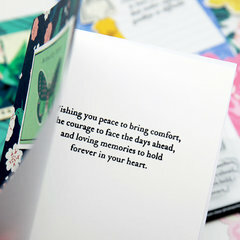 I am always looking for the perfect verse for a sympathy card and these work nicely. 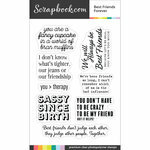 Love the sentiments, I am glad that I can use these inside my cards.. Such nice gentle words of comfort. Super quick delivery!